When travelling to the Big Island, any savvy traveler’s list should include Pahoa Hawaii. This charming small town is home to no more than approximately 900 people. Yet, its spirit is lively and continues to draw travellers from around the globe. Tucked away in the heart of the Puna region, Hawaii, Pahoa is an entanglement of natural beauty and laid-back atmosphere. Pahoa Hawaii retains the air of a small Victorian town. The wooden boardwalks still lining some of the streets are the town’s pride. The old-facade buildings hosting shops, restaurants and residences have drawn the Hawaiian town the name of Puna district’s “downtown”. 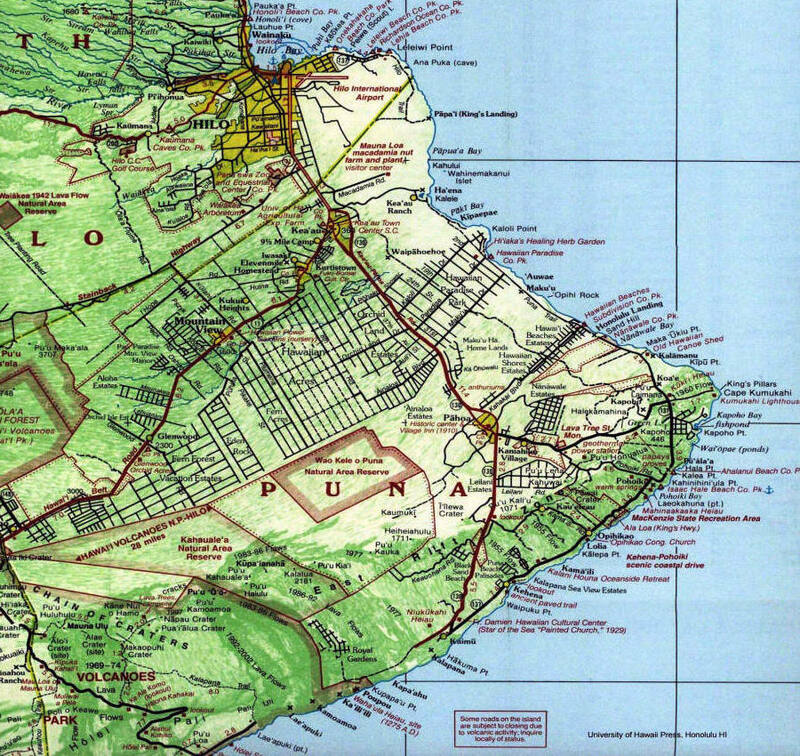 If you’re wondering where is Pahoa Hawaii, this unpolished jewel of the Puna district, a Pahoa Hawaii map will certainly enlighten you. All mainland, the small town is located to the South-East of the Big Island and is repeatedly touted as one of the most pleasant places to be in. 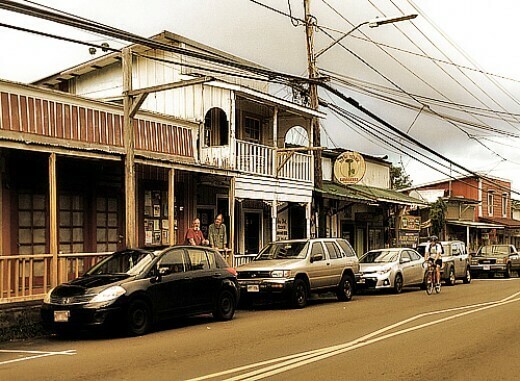 Often dubbed the hippie capital of Hawaii, Pahoa is a settled back, charming place. With a quaint main street reminding of the Wild West atmosphere, it hides several accommodations in the most authentic yet modern style. There aren’t many locations you’ll find listed under the Pahoa Hawaii zip code, but those that are offer plenty of local savor. Hotels, hostels and sustainable housing options welcome guests from all walks of life looking to enjoy the beautiful natural scenery and the relaxed atmosphere. Small crafts shops gather artwork from Hawaii’s artists and offer travelers the best souvenirs to take home. It may be small, but Pahoa Hawaii is a welcoming town full of surprises. Galleries, the oldest movie theater on the island and lovely boutiques open their doors for visitors and locals each day. 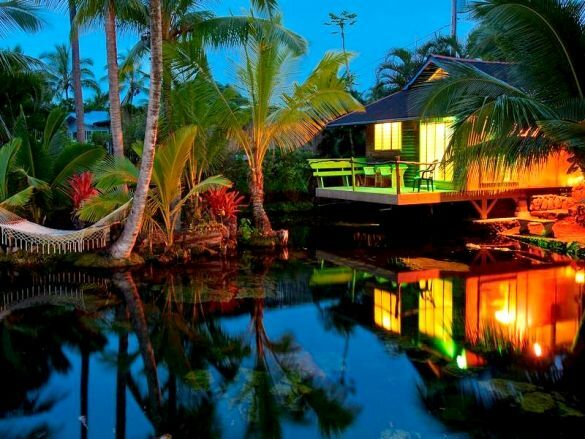 Once a traveler reaches Pahoa Hawaii, it’s not difficult to experience living here first hand. As the town is so small with a little over 900 inhabitants, everything is concentrated in one spot. The Pahoa marketplace, located near the border of this pittoresque town is a phenomenal place for shopping. Immerse yourself in local culture with one trip to the Pahoa marketplace. Other extraordinary places for shopping are the shops located in the center of the town, right down the quaint main street. As any town, Pahoa offers the main commodities and services to its inhabitants and travelers alike. There are a few schools, a church, a fire department and a police department, as well as the main post office of Pahoa Hawaii. The bank of Hawaii Pahoa can also be found in the town’s center. Lively and full of color festivals occur here quite often, drawing people from all over Hawaii as well as guests from around the world. Despite its peaceful and relaxed atmosphere, Pahoa isn’t always the tropic paradise travelers expect. Pele, the mythical goddess of volcanoes in Hawaiian lore is well known to Pahoa Hawaii residents. The Kilauea volcano is the mighty foe of people living in this corner of the world. When Kilauea erupts, it sends rivers of lava straight towards the town. In 2014, Pahoa Hawaii faced the most imminent threat of being scraped off the map due to lava pouring down from the volcano. The eruption of the Kilauea volcano began in the 1980s. There is no way of knowing when it will stop. Having met the spirit of Pele hasn’t brought just misfortune to the locals. The Lava Tree State Park in the near vicinity of Pahoa is an otherworldly place that’s a must see on every traveler’s list. Once a lavish rainforest, the trees were caught in the lava rivers. The wood burned on the inside. Nonetheless, the exterior of the trees remained encased in the lava stone forever. Now partly covered in moss, the trees of the Lava Tree State Park are a must see. Travelling around Pahoa Hawaii will reveal papaya tree groves, astonishing steam vents and black sand beaches. Take to route 137. Route 137 will drive you through pristine pine forests before winding through open pastures and the astonishingly lush tropical forests. Route 137 stretches from Isaac Hale Beach park all the way to Kalapana. Through this winding of the road, travelers get the chance to see splendid seaside pools inviting you for a dive. Hidden fishing spots are also scattered along route 137. Back in Pahoa Hawaii, travelers can rest in the Village Inn. Built in 1910, the Village Inn is a historic building, one of many in Pahoa. It still operates providing travelers the same comfort and cozy feeling as it did in the beginning. The rooms keep the vintage Victorian style they were built in. Kapoho Tide Pools in Pahoa Hawaii are praised by travelers around the world as the best place to go snorkeling or simply to enjoy a swim. Unaffected by ocean currents, the water here is crystal clear, mirroring the blue sky and allowing a perfect view of the shallow depths. Ahalanui Park is yet another piece of paradise. The pools here are heated volcanically, so the water is almost always warm and pleasant. With all the fish sneaking right past you, snorkeling is definitely an option. Kehena Black Sand Beach is the only beach in Pahoa Hawaii. Wave activity here varies quite a lot and the road climbing down to the beach is a rough patch. Nonetheless, if you arrive here, clothing is optional and fun is guaranteed. Despite the town’s size, Pahoa is not the place to get bored. Some visit it precisely to kick back and relax surrounded by the incredible natural scenery. Others may look for other activities to get a good grasp of what Pahoa Hawaii and the Puna district is all about. Pahoa has something for everyone. The Kalapana cultural tours are described as the hottest tours around. 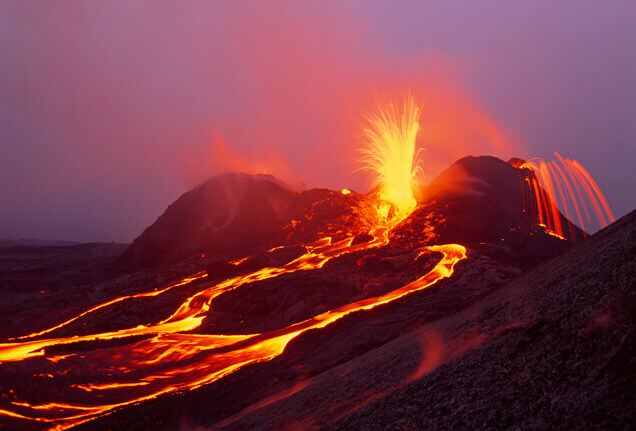 Literally the hottest as the experienced tour guides will take travelers to see the lava flow into the ocean at different locations and at different times. 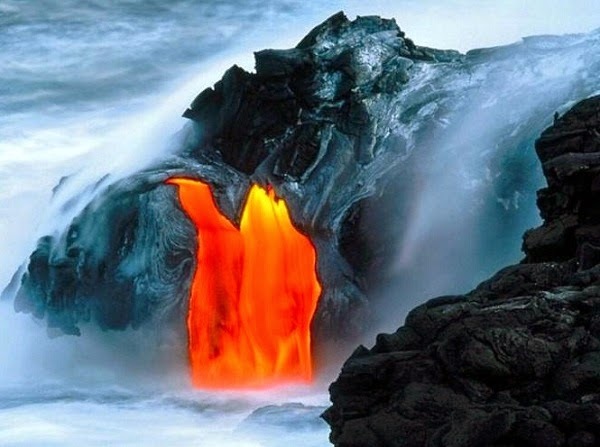 The Kalapana cultural tours include an almost five-hour walk to several hot points where the rivers of fire meet the cooling water. This is a great way to learn about Pele, volcanoes and Hawaiian culture. If you’re not much for walking, there are several boat tours in Pahoa Hawaii that will take travelers to see the lava flowing. Captain Gene’s Lava Boat Tours or Big Island Lava Boat Tour are just some of the boat-operated tours. Island Jane Eco Tours is one blissful itinerary, always personalized according to the group’s preferences and limitations. Conducted by Jane, the eco tours are a fun way to explore Pahoa Hawaii and the Hawaiian culture. Pahoa Hawaii is deemed one of the most scenic regions of the Big Island. Travelers venturing here to experience Hawaiian culture, to relax in the natural beauty and fantastic Pahoa Hawaii weather or to venture off the beaten track are warned that leaving this time capsule may become difficult.